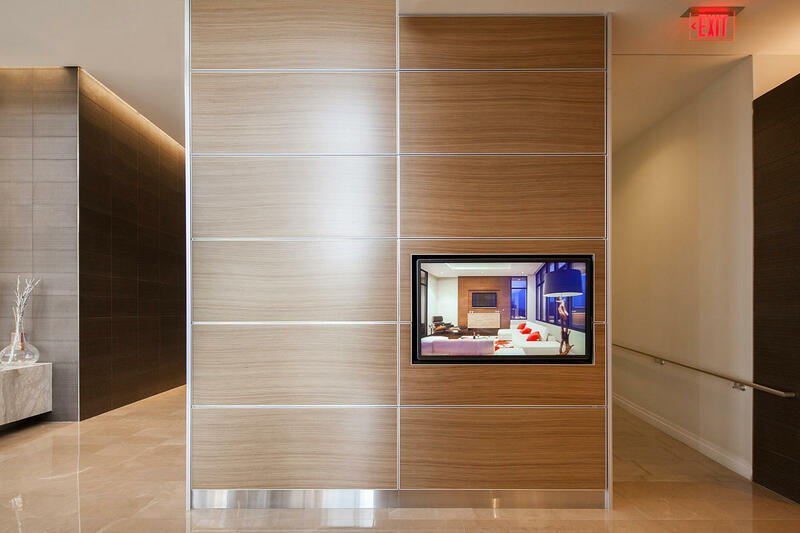 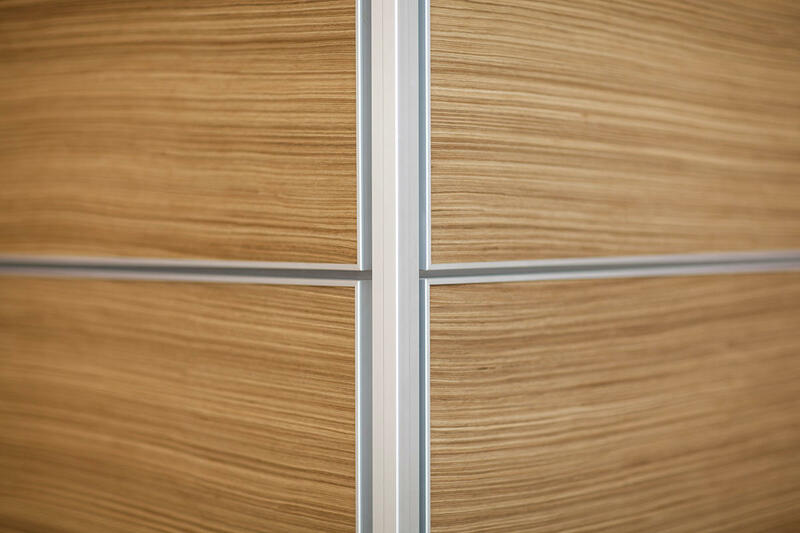 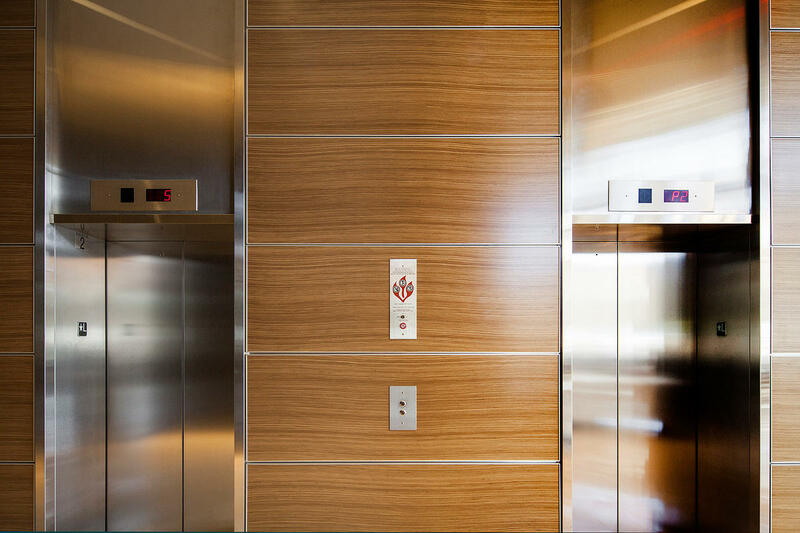 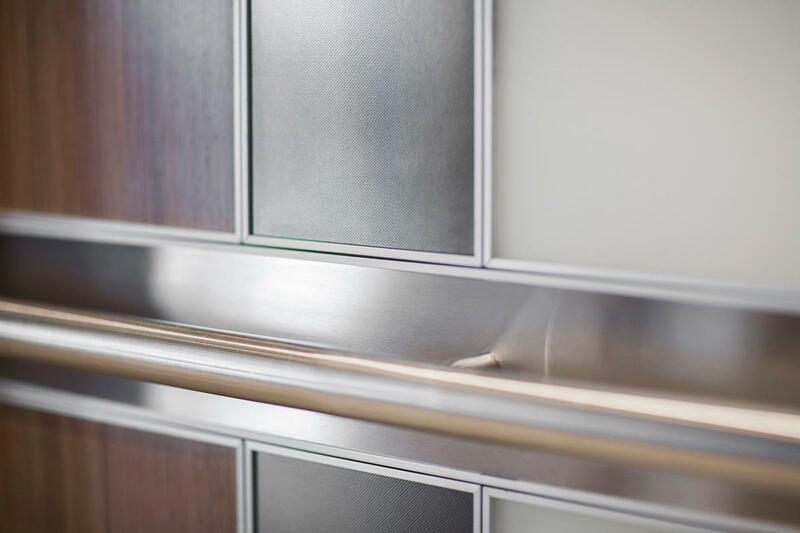 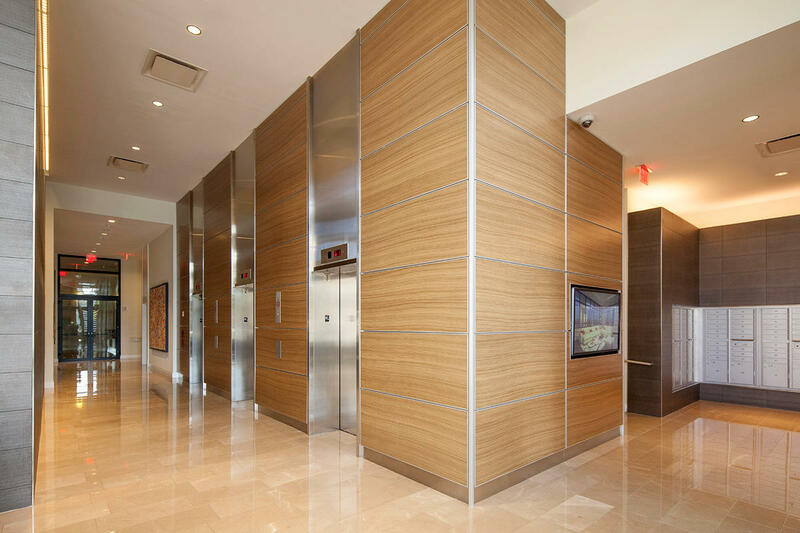 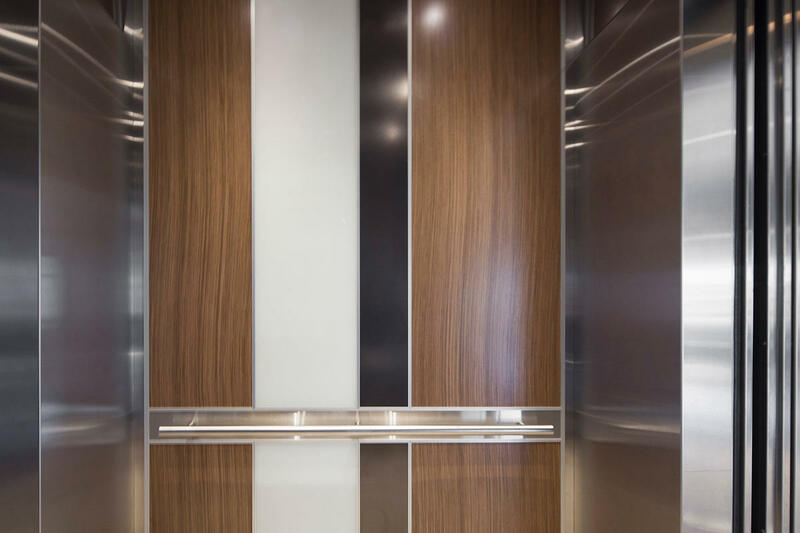 LEVELe Wall Cladding System with Capture panels; insets in custom wood veneer at 2 M Street - NoMa Apartments, Washington, D.C. 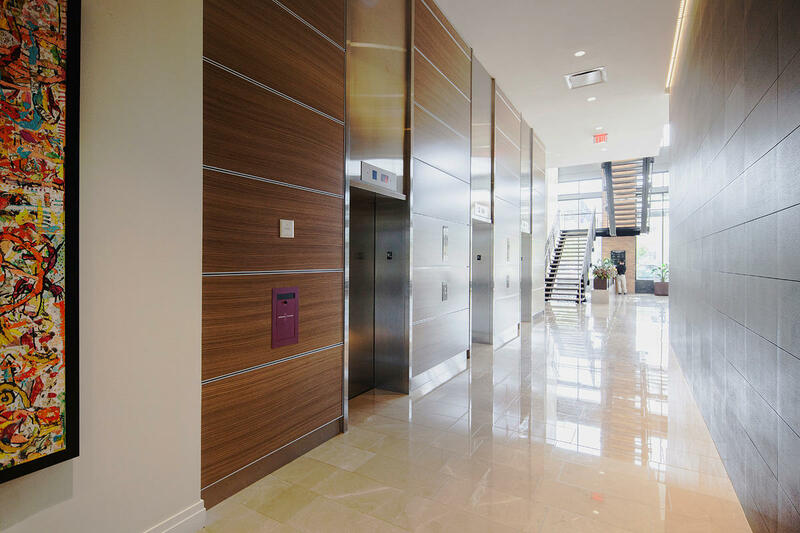 Located in Washington, D.C., 2M Street - NoMa Apartments is a mixed-income housing complex designed to meet LEED Gold standards. 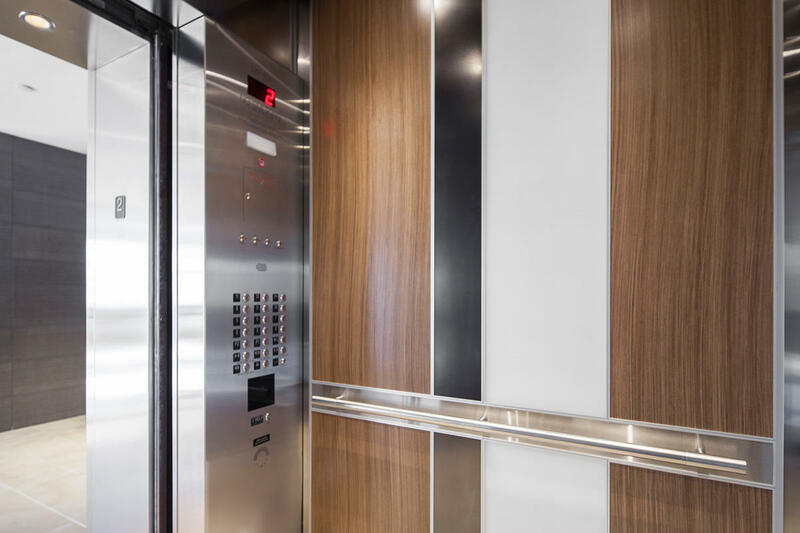 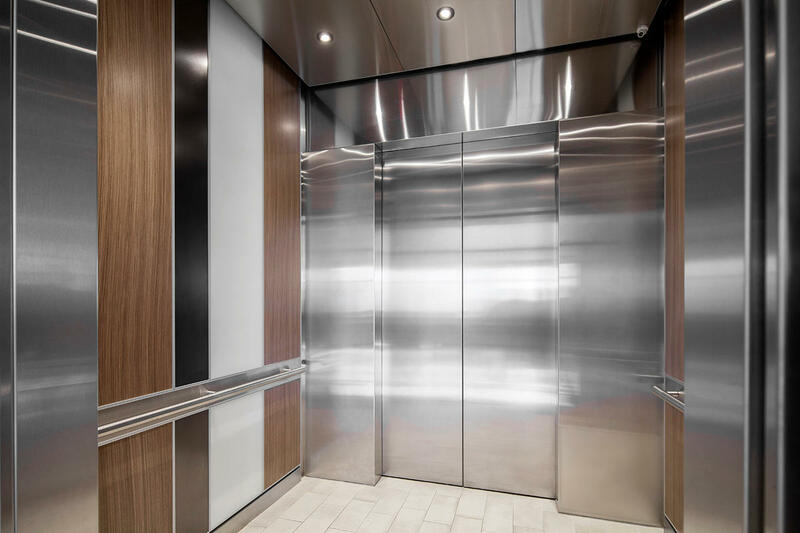 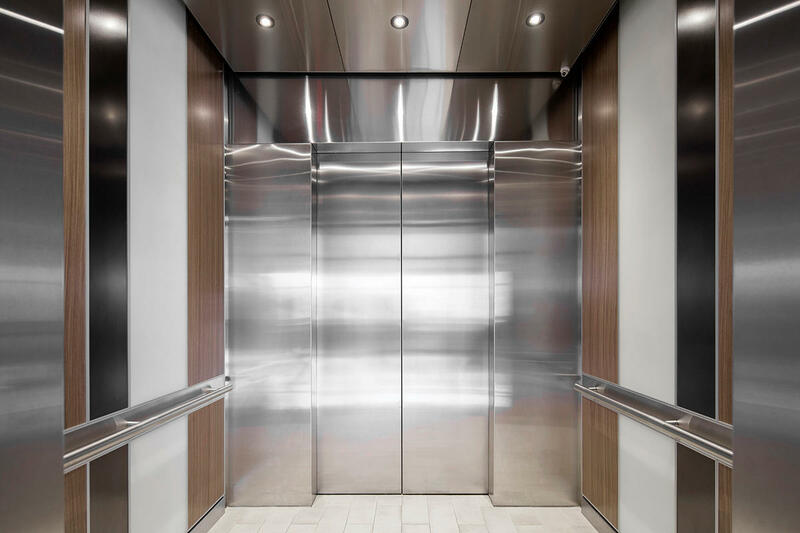 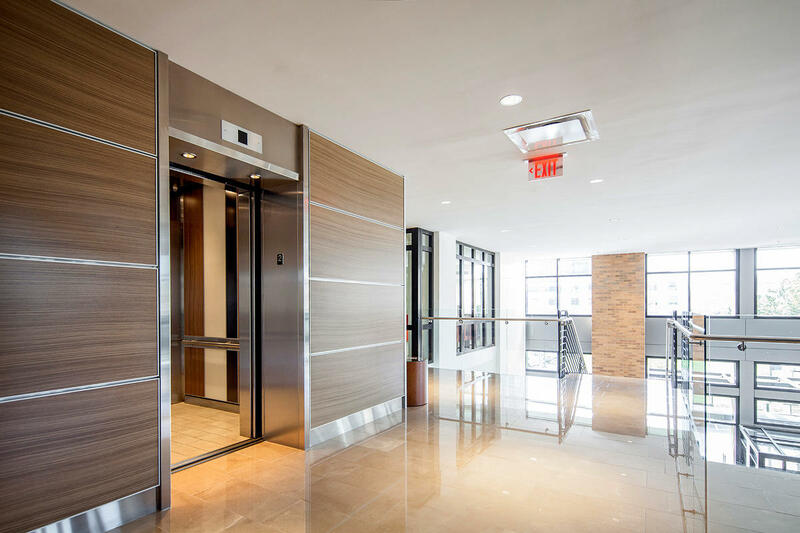 Our Surfaces and Systems were chosen for their eye-catching designs as well as their ability to withstand the challenges of the high-use space and perform well over time.